For the vinaigrette: Pour the port in a bowl, add the figs, and rehydrate until soft. Transfer the port and figs to a saucepan. Reduce the port over medium heat to 1/2 cup, about 5 to 7 minutes. Transfer the port mixture to a food processor (such as a Cusinart filled with a blade attachment) and add the vinegar. Purée until smooth. Add the shallots and slowly whisk in the oil. Season to taste with salt and pepper to taste. Brush the figs with the pancetta “oil.” Grill the figs for 45 seconds on each side. 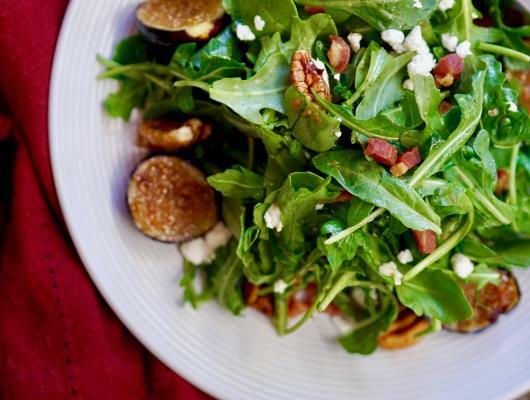 In a stainless-steel bowl, toss the arugula, pecans, pancetta, and goat cheese with the vinaigrette. 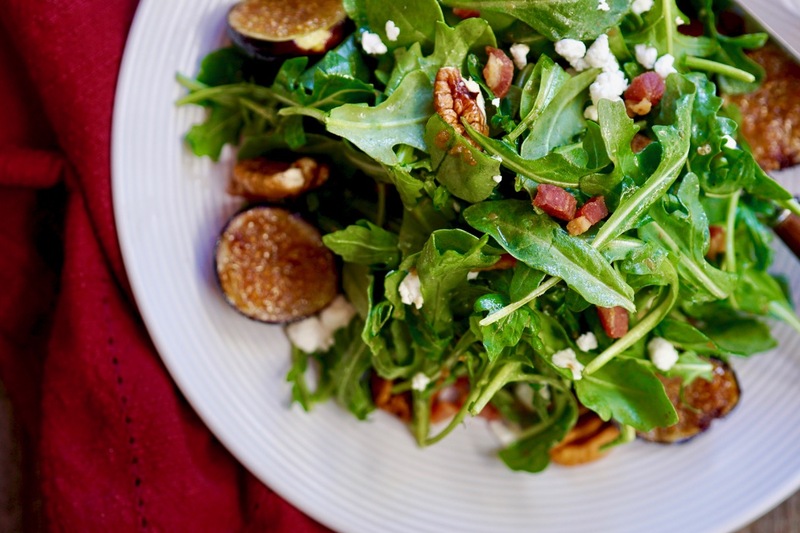 To serve: Divide the salad among 6 chilled plates and surround it with the grilled figs. Grind the pepper over each salad.